It’s Never Too Late to Top Your Personal Best. Both a riveting account of a life spent pulling off improbable triumphs and a report back from the front of the global-energy and natural-resource wars, The First Billion Is the Hardest tells the story of the remarkable late-life comeback that brought the famed oilman and maverick back from bankruptcy and clinical depression. Along the way, the man often called the “Oracle of Oil” shares the insights that have made him a legend–and describes the billion-dollar bets he is now making in hopes of securing America’s energy independence. "Entertaining...both Adam Smith and Horatio Alger would find something to like in the rise of T. Boone Pickens." "The latest memoir from the Texas oilman...Pickens' sauciness does entertain." "Sassy...breezes along...salted with earthy aphorisms." "Self-deprecating and audacious...overall, it's decidedly informative about the machinations of business." "A fascinating, eye-opening book by one of America's greatest iconoclasts and entrepreneurs. Boone Pickens' sense of daring and innovation has never been sharper. Readers will quickly realize that this billionaire's extraordinary achievements are but a warm-up for what he is about to do now." "Boone's analysis of America's energy situation is 100% on the money. In easy and colorful language he tells us where we are going wrong and what we must do about it. The country should listen to him -- now!" 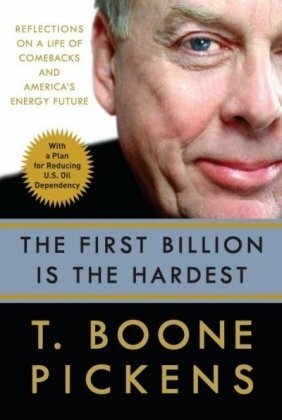 "It is inspiring to see Boone Pickens tackling the big issues, daring himself to think bigger, putting forward wind, water and energy ideas that are nothing less than paradigm busters. This absorbing and illuminating book shows why Boone has been more successful than just about all his competitors, and, more crucially, why the problem of resource scarcity may not be as insoluble as some think." 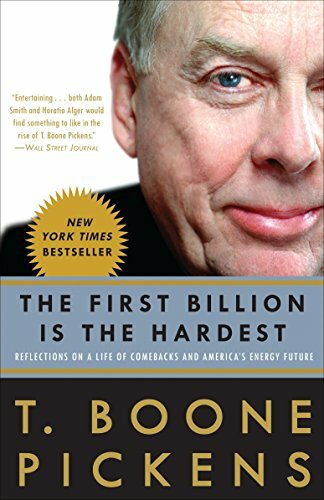 "Boone Pickens was among the first to grasp that corporations can be marvelous catalysts for progress if individual investors are given a say in what their priorities should be. Today, as humanity faces resource scarcity and dwindling supplies of cheap energy, the responsibility that has devolved to entrepreneurs, and the investors who back them, has never been more immense. Yet, in recounting his own story of comeback after comeback and tackling some of history's biggest oil, wind and water projects, Boone shows that sometimes all it takes is rejecting the 'usual' and striking out across virgin territory. In that sense, Boone is a pioneer, and this is a pioneer's story. Even now, the man they call the Oracle of Oil is blazing new paths that may, indeed, lead us out of the predicament we find ourselves in." --Carl Icahn, Chairman, Icahn & Co., Inc.
T. BOONE PICKENS is, in his ninth decade, the very active strategic and managerial force behind BP Capital, one of America’s most successful energy companies. Currently, he ranks among the world’s richest men.